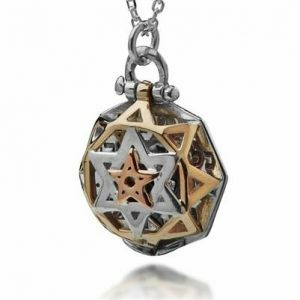 This stunning pendant combines elegance and spirituality. 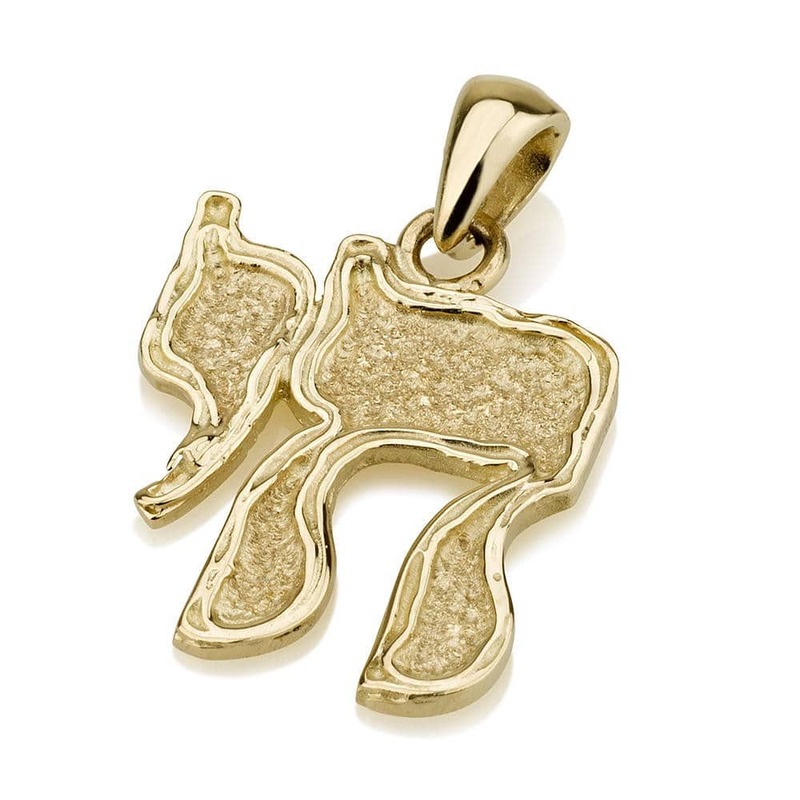 Featuring 14k gold, the design has been completely carved out and shaped in the form of Chai symbol, meaning alive. 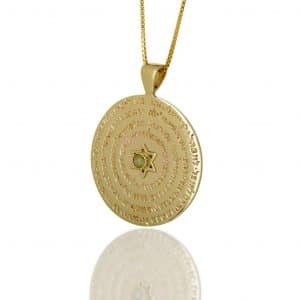 The word comprises of two letters, Chet and Yud, which literally translate into the value of life. 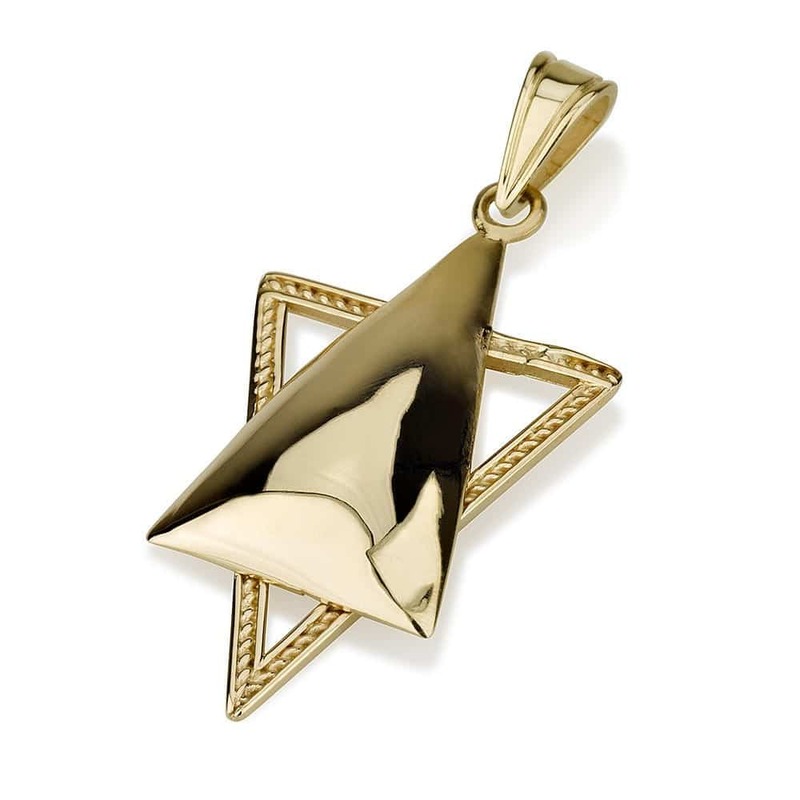 This stunning pendant combines elegance and spirituality. 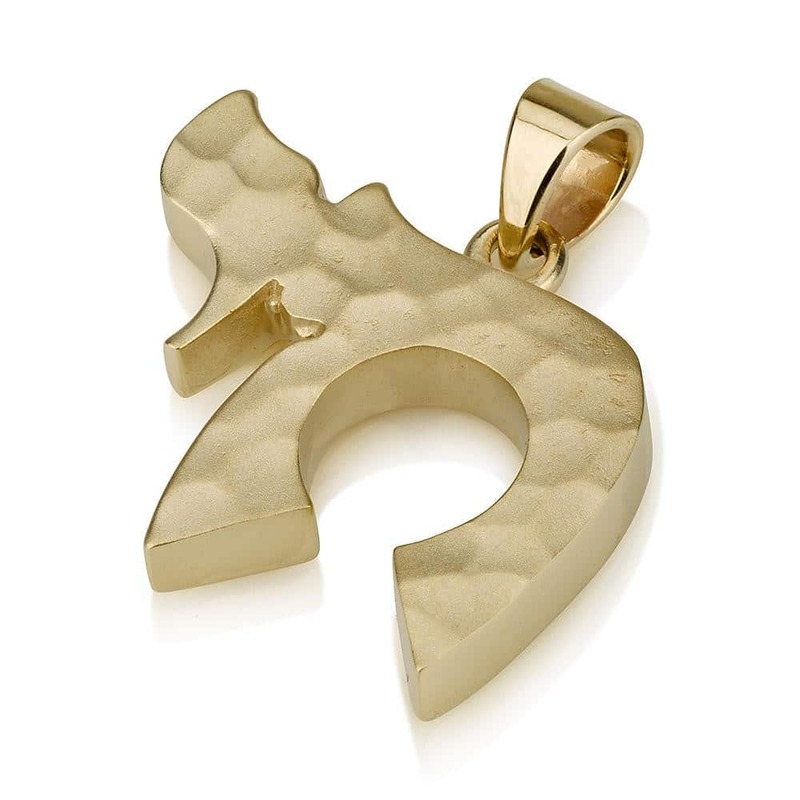 Featuring 14k gold, the design has been completely carved out and shaped in the form of Chai symbol, meaning alive. The word comprises of two letters, Chet and Yud, which literally translate into the value of life. Buy this piece of natural and contemporary beauty today. 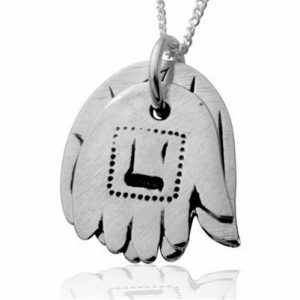 Buy this piece of natural and contemporary beauty today.